In August 2018, I joined New York University (NYU) as an assistant professor jointly in the Department of Civil and Urban Engineering and the Department of Mechanical and Aerospace Engineering, and keep working on robotic vision/learning, and robotics for construction and civil engineering. Prior to NYU, I was a research scientist in the computer vision group at Mitsubishi Electric Research Laboratories (MERL). BEng degree in Photogrammetry and Remote Sensing from Wuhan University in China. 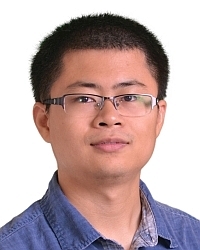 My research interests include Robotic Vision, Machine Learning, Photogrammetry, Augmented Reality, and their applications in civil and mechanical engineering. accesses since October 18, 2010. Last updated on Sep 22, 2017.